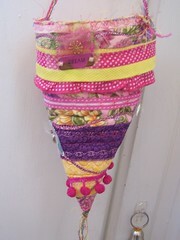 Home / Craft Projects / Fabric Cones for Swap â€“ Scrap Mania! Fabric Cones for Swap â€“ Scrap Mania! 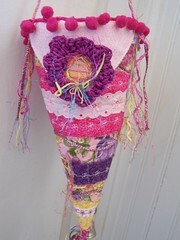 I impulsively signed up for a swap on my CPS Yahoo Group, making fabric cones. 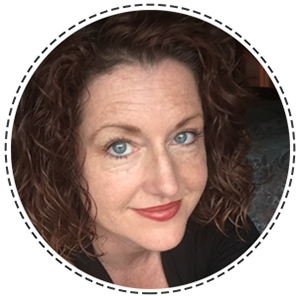 They are inspired by old-fashioned May-day cones.Â Back in the day, you’d make a little decorative cone from paper, fill it with small candies or flowers, and leave it on the doorknob of someone you admired or loved. To add some embellishments, I cut little squares of netting and iridescent films…and tucked in some little buttons and charms, then stitched those on. 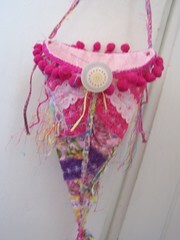 To form the cone, I just brought 2 perpendicular sides up, and whip-stitched it by hand, adding a few beads as I went. I used more yarns for the handle. 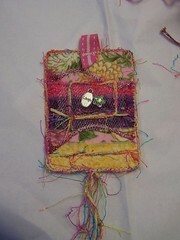 I also got inspired to use up some of the smallest bits and bobs to make an ATC tag as a gift for the hostess. So I really enjoyed making these… fun, and quick. 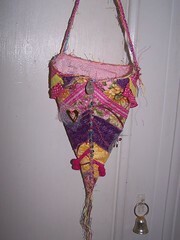 And a great way to use those little bits that you accumulate in the scrap bag.Â I can’t wait to see the ones I get back!